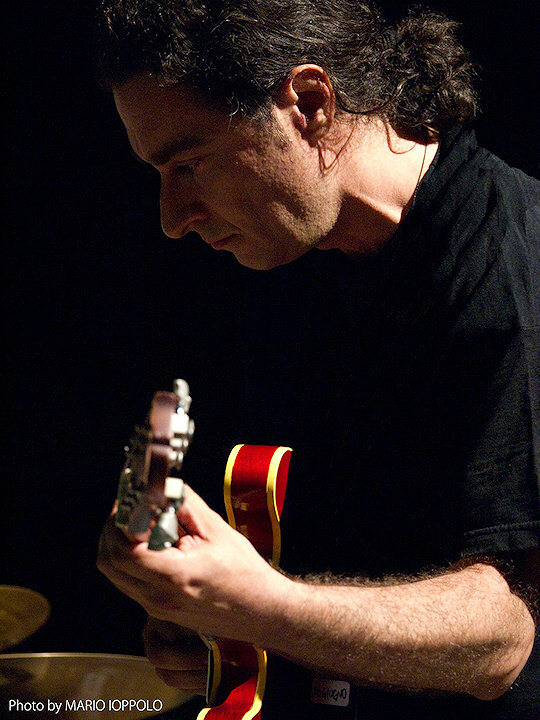 Born in 1968, Paolo Sorge is a guitarist and composer from Catania, since twenty years he explores the musical field of improvisation with collateral interests in jazz, popular music, radical improvisation, film music for silent movies, soundscape composition, the method of conduction applied to music education, and composition for various ensembles, from electric guitar quartet to jazz orchestra. After having lived and worked for twelve years in Rome, in 2003 he returned to his homeland Sicily where his career started. 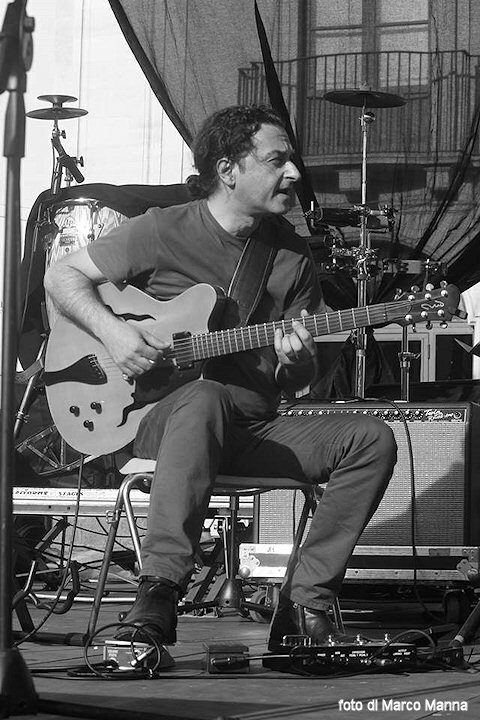 In all these years Paolo Sorge has recorded and collaborated with many different musicians, like Stefano Maltese, Michel Godard, Francesco Cusa, Guido Mazzon, Butch Morris (Bologna, Angelica Festival 2006), Ab Baars e Ig Henneman, Keith Tippett, Don Byron, Elliott Sharp, Andy Sheppard, Guillermo Klein, Mark Turner, Fabrizio Bosso. He obtained a degree in composition (conservatory of Perugia, 1998) and in jazz (conservatory of Latina, 2001). Besides working as a performing and recording artist, Paolo Sorge became very active as an educator in the jazz and improvisation field. Presently he teaches jazz guitar at the conservatory "V. Bellini" in Palermo.